MHS provides a total solution for the Warehouse Management System, be it a fully automated warehouse or conventional warehouse. It enables real-time communica-tion and information sharing among the operations within the supply chain from receiving, storing in, put-away, replenishment, picking; to inventory control, stock-take, document generation and efficiency analysis. MHS was designed to take advantage of the Windows 95/98/NT environment. It has a Standard Windows User Interface front-end coupled with back-end SQL database connectivity. Host Communication provides an on-line connection to the Host System via TCP/IP protocol where the transfer of data is done by batch or in real-time. 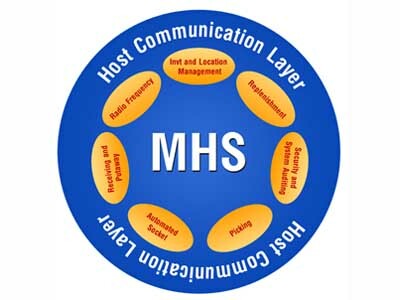 Host data (receiving, issuing...) can be downloaded via this layer for execution and managed by MHS. 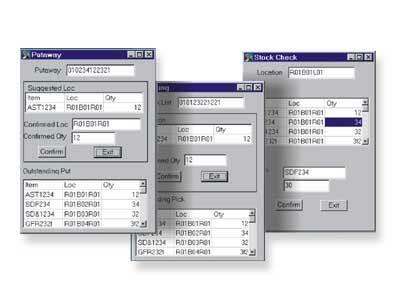 By utilizing PDA with Windows CE, MHS provides Online (RF) or Offline (Batch Processing) for Conventional Warehouse to ensure high accuracy of inventory. Information (receiving, picking, put-away, stock-take...) is displayed on PDA/RF terminals for guiding operators to complete an operation.